As a part of my Spanish curriculum, I started a book club unit this year! 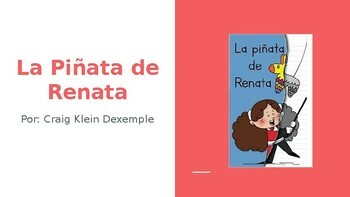 Here you will find a complete novel study for the Craig Klein novel, La Pinata de Renata! 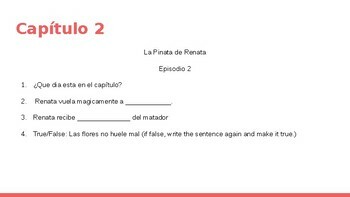 Everything is editable and very easily adaptable for differentiation/extension. Personally, I used this novel with one my lower groups of students and they did such a great job! 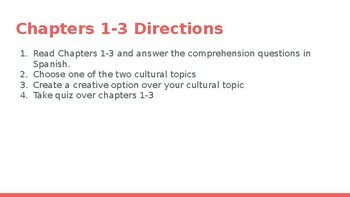 Comprehension questions for each of the 12 chapters of the novel. 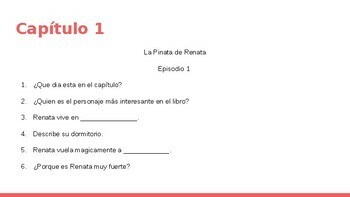 9 cultural concepts to explore in accompaniment to reading the novel. If you notice anything to be wrong, please email me at mehlert9580@icloud.com and I will fix it right away!